Cold Spring Harbor, NY — Bruce Stillman, Ph.D., the president of Cold Spring Harbor Laboratory (CSHL) and director of its cancer center, has been awarded the 2010 Louisa Gross Horwitz Prize for seminal work in which he and his colleagues have elucidated in fine detail mechanisms involved in the process by which DNA, the genetic material contained within the nucleus of nearly all our cells, replicates itself. This year’s Horwitz Prize is shared by Thomas J. Kelly, M.D., Ph.D., the director of the Sloan-Kettering Institute at Memorial Sloan-Kettering Cancer Center in New York. His work, performed in part at Johns Hopkins University, also has been critical in identifying the steps involved in duplication of the genetic material in animal and human cells. “These two investigators, more than any others, are responsible for discovering the key molecular players in and the principles that govern the process of genetic replication,” said Wayne A. Hendrickson, Ph.D., chair of the Horwitz Prize Committee and professor of physiology and cellular biophysics at Columbia University. Hendrickson added that Stillman and Kelly have given science a much-needed understanding of the way cells work in humans, in so doing shedding light not only on the duplication of normal cells but also how the process goes awry in cancer. The Louisa Gross Horwitz Prize has been awarded annually since 1967 by Columbia University, for outstanding basic research in biology and biochemistry. Forty-two of the 82 awardees, to date, have gone on to win the Nobel Prize. Stillman, a native of Australia, has worked continuously at Cold Spring Harbor Laboratory since he arrived as a postdoctoral student in 1979. He obtained a Bachelor of Science degree with honors at The University of Sydney and a Ph.D. from the John Curtin School of Medical Research at the Australian National University. He was promoted to the scientific staff at CSHL in 1981. 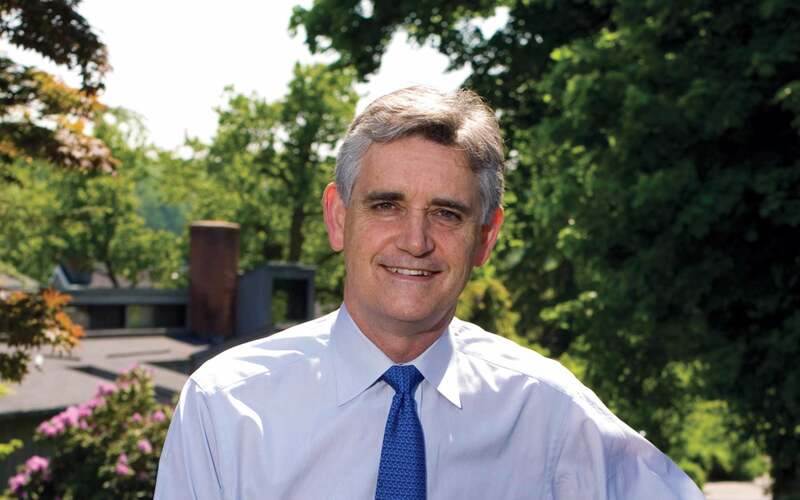 Stillman has been director of the National Cancer Institute—designated cancer center at CSHL since 1992, a position he still holds. In 1994, he succeeded Dr. James D. Watson as director of Cold Spring Harbor Laboratory, and was appointed president in 2003. Stillman is best known for his discovery, in 1992, of the origin replication complex, or ORC, a complex of proteins in eukaryotic cells that serves as the starting point for a sequence of events that leads to the “unzipping” of the double helix and the subsequent replication of the genetic material—an exquisitely choreographed sequence of events that yields two sets of identical chromosomes which are pulled apart to become the basis of two “daughter” cells during mitosis, or cell division. As Dr. Stillman has explained elsewhere , there are more than 30,000 distinct replication start sites across the human genome, each one of which serves as an attachment point for ORC and various proteins that it recruits in the process of forming a so-called pre-RC, or pre-replication complex. A fully assembled pre-RC, in the argot of scientists, “licenses” replication of a particular stretch of the double helix. As Stillman and others have shown, not every pre-RC “fires” in each cell cycle. But all of them, under normal conditions, are licensed to fire. Dr. Stillman’s other honors include his election as a Fellow of The Royal Society in 1993. In 1994, he was awarded the Julian Wells Medal (Australia) and in 1999, he was appointed an Officer of the Order of Australia (AO) for service to scientific research. He was elected in 2000 to the U.S. National Academy of Sciences and in 2008 was elected to the American Academy of Arts and Sciences. In 2004, Dr. Stillman was awarded the Alfred P. Sloan, Jr. Prize from the General Motors Cancer Research Foundation, with Dr. Thomas Kelly. In 2006 he received the American Cancer Society Basic Science Award from the Society of Surgical Oncology and in 2007 received the Curtin Medal from the Australian National University. He has also received five honorary doctorates.